Pampered dogs across Belgium now have an alterative to classic dry kibble thanks to the Brussels company Dog Chef, reports Bruzz. Essentially a catering service for canines, Dog Chef cooks up fresh dog food, and even delivers it to your door. Alex Cardon and two partners launched Dog Chef after they noticed that more and more people were giving their pets homemade rather than pre-packaged food. Dog Chef offers a healthier alternative by using only products that are also suitable for human consumption, according to Cardon. 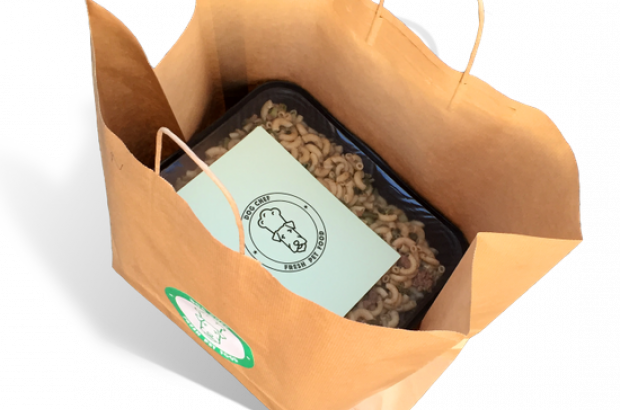 So far the company makes two different recipes, which were developed together with the University of Liège: Chicken with rice and vegetables, and beef with pasta and vegetables. "Not much choice, but for dogs it is better that they eat the same thing every day," said Cardon. Health-conscious pet owners can order meals tailored to the needs of their four-legged friend, with prices ranging between €5- and €7 per kilo.